Power wheelchair maintenance is very important towards keeping your wheelchair in good shape. A power chair is designed to have a long life span, but this can only be fulfilled if the user takes care of their wheelchair on a consistent basis. 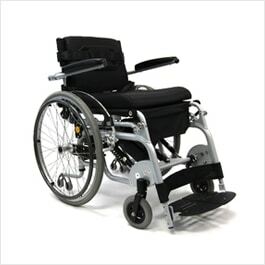 Power wheelchairs come standard with a battery and battery charger, these are the devices used to propel the chair and to power the standard features that come with this type of chair. The power wheelchair user must learn how to maintain their wheelchair when it is received, or before receiving the equipment. This will allow the user to start a maintenance routine that can make your power chair last longer then if there is no maintenance. An important factor in keeping your power chair healthy is to charge it frequently. The most recommended time to charge your wheelchair is when you are sleeping during the night, this is a perfect time to charge your wheelchair battery. Even if you are not using the chair for prolonged periods of time or if the chair is not used for a while, you should always charge your battery to prevent damage or deterioration of the equipment. Knowing your power chair is an important step towards prolonging the life of your power wheelchair. You should read every piece of literature available for your chair or the chair you are thinking of buying. The product manual is the most important literature available for your chair. It should explain to you how to properly maintain and use the chair. Sometimes wheelchair manufacturers provide a timetable or maintenance schedule of when it is important to maintain your chair. Although this may be the case with some products, it is better to preemptively draw out a schedule to follow on a weekly or daily basis. It is also important to learn what function each component of your wheelchair has, this will allow you to troubleshoot problems that may arise during use. How do I "maintain" my power wheelchair batteries?